Any page where reports are available, users with permission can use the Report Builder to edit the existing reports. 1. Click the Edit Settings link on the report page and set the Show Report Builder module setting to true. Permission to Report Builder is required. 2. Click the Run Report Builder link. 3. 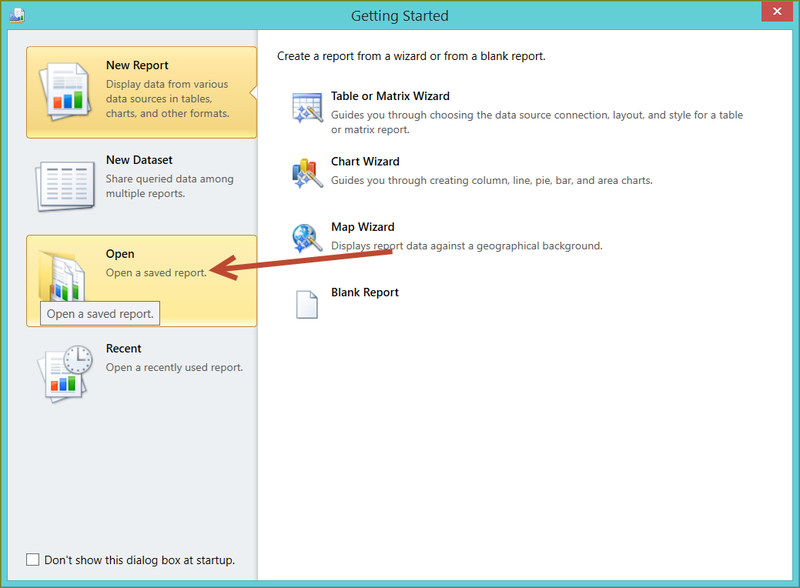 If this is the first time to access, click the Run button in the pop-up window to launch Report Builder. 4. 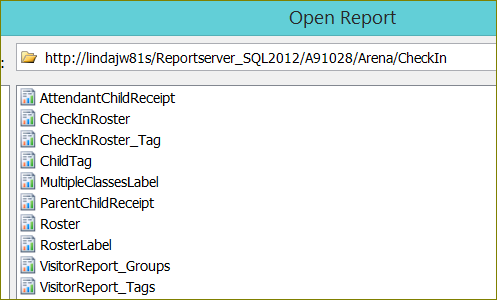 Select Open to open an existing report. 5. 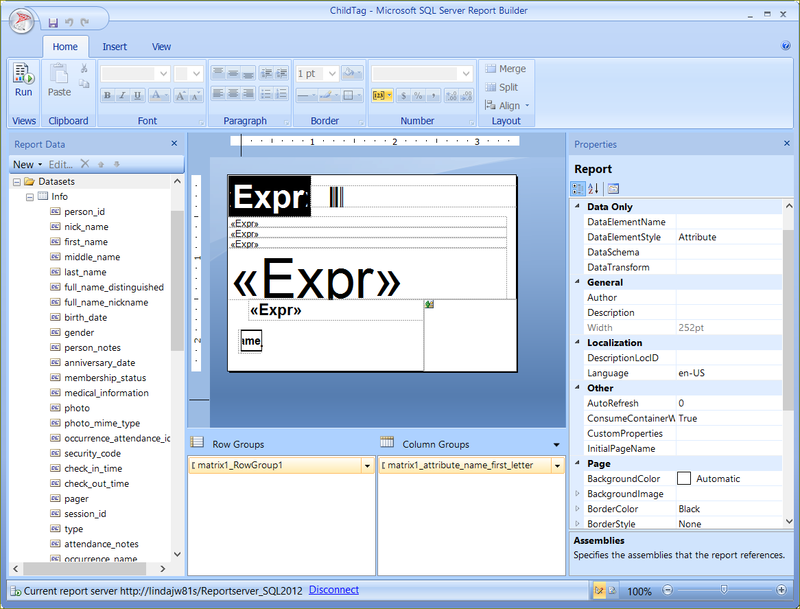 From the dialog box, select the folder and double-click the Report you want to edit. In this example, we use a check-in label. 6. Make the adjustments desired. Use the Properties window to adjust a page size or select a field to adjust field properties. You can add any available dataset field from the Report Data window on the left or remove a field from the report design view. 7. Click the Save As button to save the report with a different name in the same folder, while preserving the original report.